Get to know us! 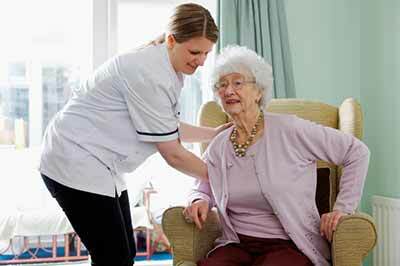 Paradise In-Home Care is a non-medical home care provider dedicated to providing the absolute best and most affordable in-home care service throughout the San Francisco Bay Area. Our goal is to help you and your loved ones enjoy life to the fullest. We personally evaluate your care needs and work to provide the best possible assistance to make living at home a pleasure. We ensure extensive training for each compassionate and experienced caregiver in our care homes and on our in-home care staff. 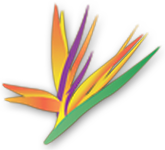 We personally train each care provider in our Board and Care Facilities, Paradise Gardens Care Homes (I & II), to provide you with the same quality of service and professionalism that we have long been known for. Our emphasis is your comfort and peace of mind. We focus on selecting not only experienced, helpful, competent, friendly caregivers but also trustworthy people. In addition, our caregivers love what they do and truly enjoy helping others. You can rest assured that you are in caring and capable hands. All of our San Francisco Bay Area based In-Home Care Providers are thoroughly trained by us FIRST AT OUR OWN CARE HOMES prior to being assigned to provide care in your home. Each caregiver must pass the below comprehensive review process. We also offer consultation for families looking for Senior Living Residences and Free Care Home Placement. Paradise In-Home Care is an affiliate of Paradise Gardens Care Homes which offer two beautiful Board and Care facilities in Walnut Creek, CA. Paradise Gardens I & II are high-end yet affordable, extremely comfortable, reputable, social and friendly residences with the most experienced and caring staff that will help your loved ones feel right at home. Should the time come when your family decides that one of our Board and Care facilities is the best option, we are able to assign your caregiver to the Care Home of your choosing to provide a familiar face and ease the transition for your loved one. If you or a loved one are in need of assistance – either in-home care or board and care – feel free to contact us with any questions you may have and we would be more than happy to do what we can to provide you with the special care you need. Let us know how we can help.